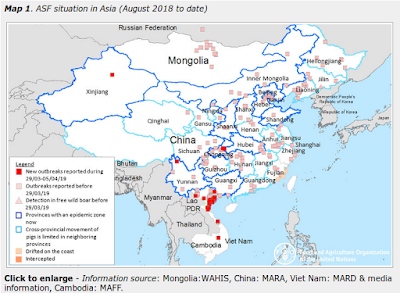 Although still sporadic, the number of H7N9 reports coming out of China continues to increase as we get deeper into winter. 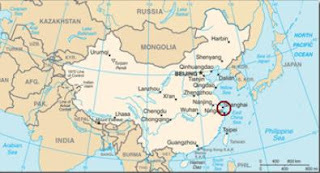 Yesterday it was Jiangxi province, today we have an announcement from from the Shanghai Municipal Commission of Health and Family Planning. Details are disappointingly scant, but at least it is a timely notification, something that doesn't always happen in China. Shanghai Health and Family Planning Commission briefing on January 1, Shanghai report one case of infection of H7N9 virus confirmed cases. Patient, Ni, male, 59 years old, the city residence. Confirmed on January 1, it is now in active treatment. Hong Kong's CHP has posted a notification, with no additional information, but with the standard boilerplate advice at CHP closely monitors additional human case of avian influenza A(H7N9) in Mainland.